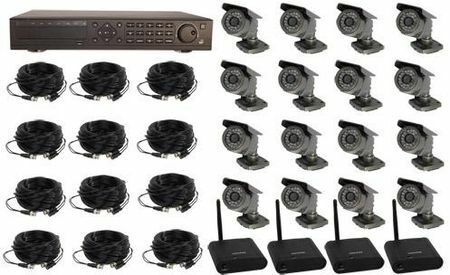 This surveillance system allows you to install up to 16 cameras (12 wired and 4 wireless cameras) to digitally record all activity. This DVR has full networking capability and uses an embedded DVR which allows you to view live video on the Internet or play back recorded video. This mega video recording system is perfect for when you need to keep an eye on lots of different locations. This system also works with smart phones including: iPhone, Blackberry, and Android.